An initially clockwise figure-of eight walk centred on Gills Lap, but with a convenient start from the Forest Visitor Centre with a car park, displays and facilities. The full route could easily be walked as two 20-mile circuits using these and nearby car parks, or by linking from stations at Crowborough, Eridge, Ashurst and East Grinstead to make rather longer day-walks. 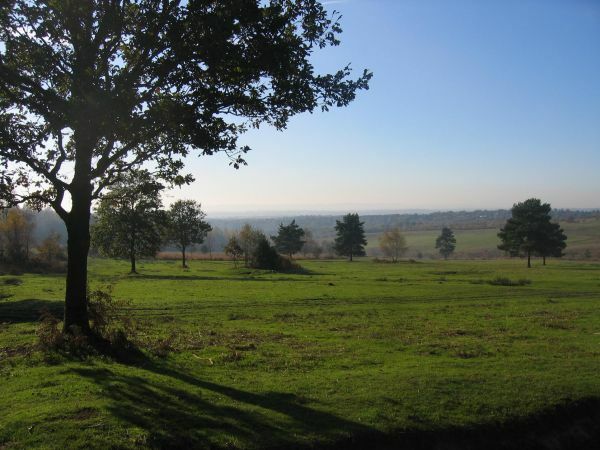 Ashdown Forest derives its name from a royal hunting 'forest' - these had little to do with trees - and it lies on the area of sandstone ridge comprising the High Weald AONB, surrounded by the lower Weald, so providing consistently fine views and some apparently remote terrain so near to London. 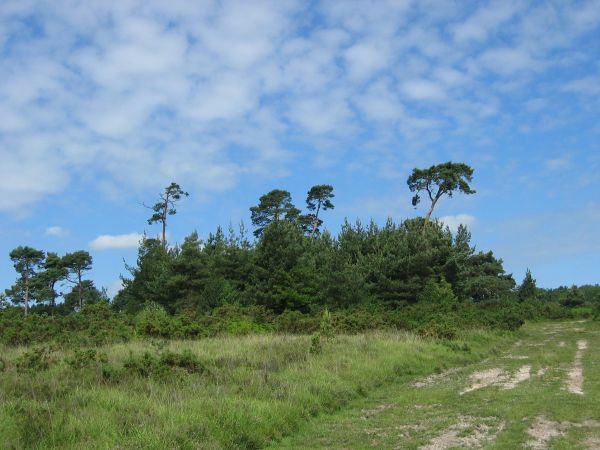 It is the largest area of 'lowland heath' in south east England with undulating ridges and about a third is wooded. There is evidence of its industrial past in iron working and of the rural economies of the deer park and of grazing, in what has long been a managed landsape. Deer were kept within a 'Pale' - a bank and palisade (hence when escaped deer were 'beyond the pale'). The original Pale, of which traces remain, circumscribed the deer park for some 20 miles or more. 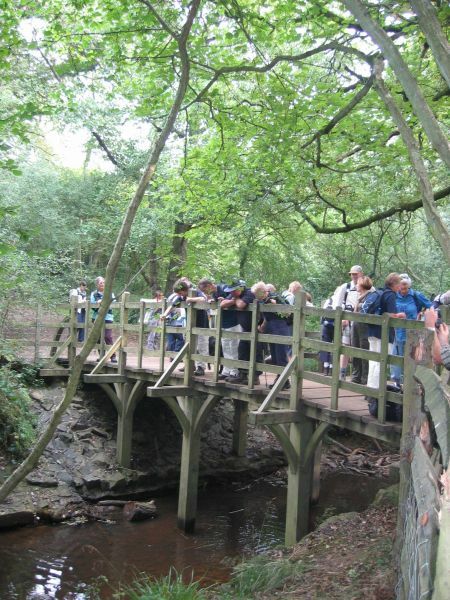 This route visits or passes close to the highlights and well-known locations on the Forest, including Newbridge Mill (iron), Chuck Hatch (a hatch was a gate in the Pale), the 'Lone Pine' and the characteristic Scots Pine 'Clumps', Rotherfield, Eridge (sandstone outcrops); then Hartfield with 'Pooh Corner', Pooh Sticks bridge, and Gills Lap - the 'enchanted place' (all associated with Winnie the Pooh); the Four Counties wiewpoint (car park) at the highest point of the Forest at 229 metres, Camp Hill Clump, Fairwarp village and church, the Airman's Grave, Nutley windmill, views to Weirwood reservoir, and finally Forest Row, 'capital' of the Forest, before returning to the Forest Centre.